Navy beans are a nutritious source of protein and fiber. 2 What Kind of Seasoning Do You Put in White Bean Soup? 4 Can I Substitute Chickpeas for Black Beans? Earning their name because of their status as a food staple for U.S. Navy soldiers, navy beans are white with a mild flavor. The beans supply key nutrients such as iron, zinc and potassium, but they might not appeal to all palates. If you're preparing a recipe that calls for navy beans, you can easily substitute a variety of other types of beans or legumes. Substitute any type of white bean if you don't have navy beans on hand. Though the flavor can change slightly, you'll still get a good dose of protein, fiber and key vitamins and minerals. All white beans are low in fat, as well. 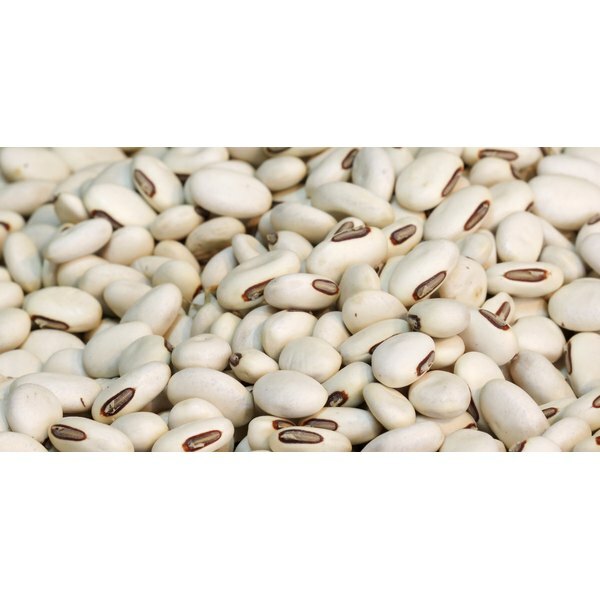 Cannellini beans, flageolets, white kidney beans, great northern beans and tepary beans are all acceptable white bean substitutes that can be used in place of navy beans in recipes for dishes such as soup and casseroles. If you're willing to look beyond the color of your bean, there are many other varieties besides white beans that can taste equally as good in your recipe. Red beans, such as kidney or adzuki beans, are one option that can replace navy beans. Black, pinto, lima and Anasazi beans are additional ideas. The flavor of your recipe might be slightly different if you replace navy beans with colorful beans, but these varieties are also high in fiber and protein, and they supply iron and folate, just like navy beans. You can substitute any type of legume for another legume, notes the CNN website. 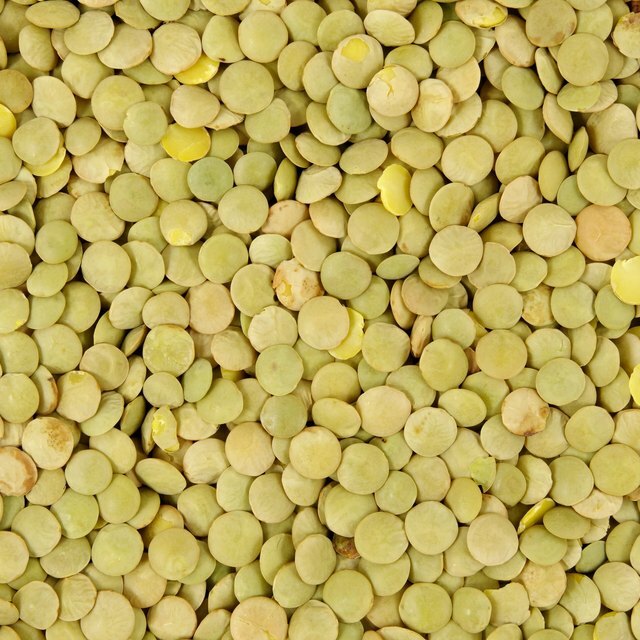 Lentils are a good source of fiber and protein, and they can be used in many of same recipes you would use navy beans for, such as stew or salads. They come in an array of colors, including white if you want the same color replacement for your navy beans. Consider the amount of time your navy bean substitute takes to cook. Most varieties of dry beans, no matter what color or type, need to soak and cook for about the same amount of time. Lentils, however, cook in about 45 minutes, according to the USA Emergency Supply website. Because of this faster cook time, lentils are a suitable replacement if time is a factor for you. Experiment with replacements for navy beans, and you're likely to find new ways to cook your old favorites.